Welcome to the Michigan School of Psychology, where students embark on a journey of self-discovery in a program of academic excellence. Here is a place like no other. All who walk through our doors sense that there is something special about our campus, our faculty, and all who are part of the educational experience. More than 15 years ago I began my journey from student in the Master of Arts program to President of the Michigan School. I know personally how one’s life can be transformed within these walls. Much has transpired during the years since I first enrolled, but one thing is unchanged: our commitment to maximizing the potential of every student who makes MSP their academic home. Whatever your age, your upbringing, or your education, what you are made of is mostly unused potential. It is your evolutionary destiny to use what is unused, to learn and keep on learning for as long as you live. To choose this destiny, to walk the path of mastery, isn’t always easy, but it is the ultimate human adventure. We are honored to accompany you on your human adventure at the Michigan School. Dr. Brown is an alumnus of MSP’s Master and Doctoral Programs and received her degrees in 2004 and 2008, respectively. In addition, she received a Bachelor of Science in Administration from Central Michigan University. Prior to her career in psychology, Dr. Brown was an executive in Michigan’s largest insurance corporation, where she gained extensive knowledge of health care delivery and business practices. Before becoming President, Dr. Brown served as MSP’s Program Director and as Director of Clinical Training. She also played a key role in the doctoral program’s achievement of accreditation by the American Psychological Association (APA). Dr. Brown maintains a humanistically-oriented private practice and has worked in the behavioral health division of a large hospital system and in community mental health. Her areas of special interest include writing and communication, working with the LGBTQ population, and the implications of parentification in children and adults. She is a member of the American Psychological Association (APA), APA Division 32 (Society for Humanistic Psychology), and APA Division 44 (Society for the Psychology of Sexual Orientation and Gender Diversity). Dr. Brown has received awards for her clinical excellence, academic writing, and diversity efforts. 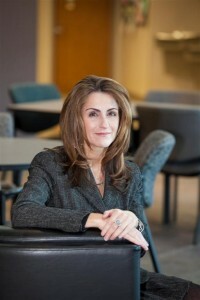 Diane Zalapi, Vice President of the Michigan School of Psychology, is responsible for oversight of institutional operations. In collaboration with the administrative team, she provides leadership and support for the development and implementation of academic and student support services, facility and financial operations. With a BA in English from Western Michigan University and an MS in Counseling from Wright State University, Ms. Zalapi has held Student Services and Administrative roles in higher education for more than 25 years. Prior to joining MSP in 2007, she was the Vice President for Enrollment Services at Waukesha County Technical College in Wisconsin and had previously held positions at Walsh College, Lake Michigan College and Oakland Community College. Ms. Zalapi’s belief that all members of the institutional community contribute to student success is foundational to the mission of MSP. By establishing and maintaining effective operations and strong student services, faculty are supported in the teaching/learning process and students are able to achieve their academic goals. Dr. Chávez-Korell joined the Michigan School of Psychology as a Core Faculty member in August 2017. 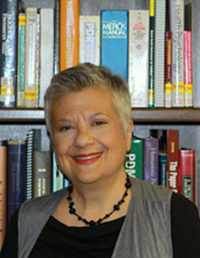 Prior to joining the Michigan School, Dr. Chávez-Korell was an Associate Professor in the Department of Educational Psychology at the University of Wisconsin-Milwaukee for 10-years. Her research focuses on poverty-related stress, racial and ethnic identity development, and extends to cultural adaptations of mental health interventions. Her interests also include transgender identity and affirmative psychotherapy with transgender clients. In 2015, she and her research colleagues received The Outstanding Contribution of the Year Award from the American Psychological Association’s Division 17 The Counseling Psychologist for their research focused on Latino Ethnic Identity. In addition to teaching, research, and service, she is actively involved in professional consultation. Her consultation work is focused on issues of diversity and inclusion, specifically access and barriers to education for marginalized populations, educational equity, and school climate. 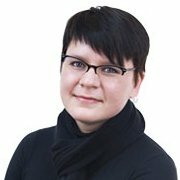 Dr. Chávez-Korell currently serves on the editorial boards for the Journal of Counseling Psychology and Journal of Latina/o Psychology.